Estuaries and bays, located at the land-ocean interface, receive large quantities of nutrients and organic carbon from runoff thus supporting high rates of primary production and playing a major ecological role at a global scale. Since about 40% of the World’s population live in coastal areas, these systems are also highly vulnerable to anthropogenic pressure. Understanding the transformation, fate and transport of chemical substances in such dynamic and complex systems where natural and anthropogenic gradients and processes take place is still challenging. The XV International Estuarine Biogeochemistry Symposium will be held in Vigo (Galicia, Spain) for the first time. It will take place on the 4-5 June 2019. Galicia hosts a large number of rias, estuarine systems formed by flooding of former river valleys in the Preistocene-Holonce during the last interglacial transgression. 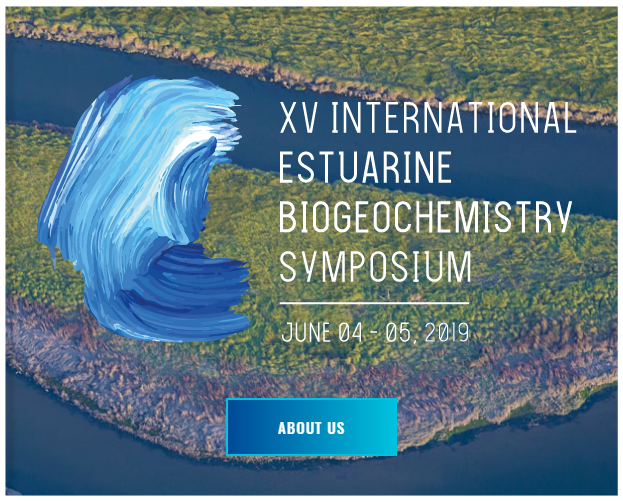 The XV IEBS will cover the wide diversity of estuarine and bays, regarding their morphology, geographic location, climate conditions, and anthropogenic pressure. Current changes in the land use and activities developed in coastal areas and the ever changing chemical compounds used in products for human consumption and/or industrial activities requires contemporary approaches for the monitoring and assessment of estuarine biogeochemical processes. Within this context, we welcome studies dealing with the sources, behavior and fate of nutrients, organic matter, and historical and emerging contaminants (trace elements, nanoparticles, organic compounds). A specific session will be dedicated to the potential impact and/or interaction of microplastics on the biogeochemical processes.